Michael Sterns is an aspiring pastor. 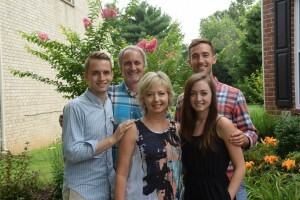 His family currently resides in Franklin, TN where his father is the senior pastor of the Franklin Vineyard. Michael was born in St. Petersburg, FL and moved to Mission Viejo, CA. After a few years in Orange County, the Sterns moved to plant another church in Franklin, TN. Michael went to Lee University to get his BS in Business Administration with a minor in Theology and minor in Religion. He had originally planned to go to Law School following undergrad, but God re-called Michael into ministry while on a study abroad trip in Cambridge, UK. Michael began looking for seminaries, and he felt led to Princeton Theological Seminary. He is in his third year there, and he hopes to plant a Vineyard church in that area.